The trade of franchise player Andrew McCutchen signals the end of an era for the Pittsburgh Pirates. When I saw that the Pittsburgh Pirates had traded Andrew McCutchen, face of the franchise and former National League MVP, to the San Francisco Giants for a young, untested relief pitcher and a minor league outfielder, I wasn’t as shocked as I think many Pirates fans were. The general consensus was, especially after the Gerrit Cole trade to the Houston Astros, that McCutchen would be gone for sure this offseason. Fans would have needed a miracle to get the club to extend McCutchen’s contract. I was still hurt, mostly because of the terrible return the Pirates got for him. We really couldn’t have snagged anyone that brings a bit more of a veteran presence to the team? But the damage was done, so the only thing left to do is look forward to this season, if you even want to support the Bucs anymore. So, Pirates fans, what is there left to love about this team? What could be the ray of sunshine in an otherwise gloomy offseason? Their names are Josh Bell and Jameson Taillon, of course. 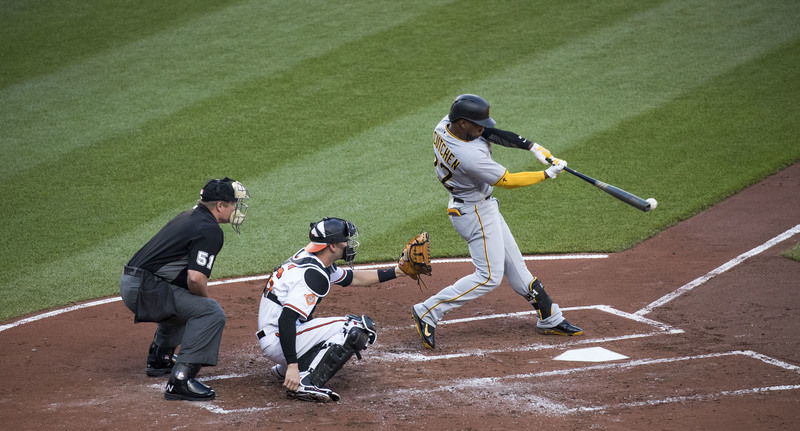 Even during the 2017 season, reporters were looking at Bell, a well-spoken, power-hitting first baseman, and seeing his potential to lead the Pirates as their new franchise player. After a record-breaking rookie year, the only thing I can possibly hope for from Bell is more consistency as he tries to fill the shoes left by McCutchen. In Taillon’s case, it’s a little less obvious. After the Bucs flipped Cole for a couple of seemingly lackluster players (more on that later), the rationale in my mind was that the Pirates already have Taillon in their pocket as a young, developing ace. He’s a stud on the mound, and although he had a bit of a rough patch after returning from his cancer surgery, everything seems to be set up for Jamo to take his place as the Pirates’ new ace pitcher. Another thing to celebrate is the extension of flame-throwing closer Felipe Rivero’s contract, so if we can make it to the 9th inning, we have a good chance that he’ll hold it down for us. The two young main pieces we got in exchange for Cole from Houston — pitcher Joe Musgrove and third baseman Colin Moran — seem like they have the potential to blossom in Pittsburgh. The two of them were sitting deep in the depth chart on an extremely talented Astros roster. Musgrove was thrown into a relief role because the Astros had too many incredible starting pitchers already, and Colin Moran would never see significant playing time behind Alex Bregman. There was no way for either of the two players to make an impact on the star-studded reigning World Series champions. However, on in a smaller team with a lot less talent on the roster, we could see both of them become reliable — perhaps even great — players. Musgrove could become a great starter and justify the Bucs’ dumping of Cole. Moran may fill out our hole at third base and become a real power threat. Plus, he’s got a killer beard. Trading McCutchen closes the curtain on an era of Pittsburgh baseball that had many lows, but also many highs. I choose to look forward to this new team of young blood, and be excited about the future.